SAN FRANCISCO (June 8, 2015)—City Attorney Dennis Herrera expressed gratitude and optimism today in response to the U.S. Supreme Court’s decision to deny review to an appeal by the National Rifle Association and local gun rights advocates, who sought to invalidate a San Francisco ordinance requiring gun owners to lock or disable their weapons when they are stored at home. 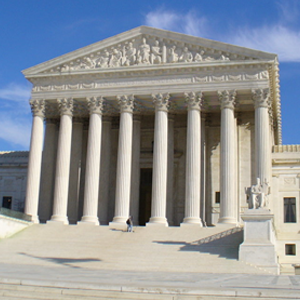 Because efforts by several major American cities to address their problems with gun violence were widely considered hamstrung by the Heller and McDonald rulings, today’s denial of cert-and even the dissent by two justices-gives Herrera hope that the court’s majority sees common-sense limits on individuals’ gun rights to protect lives and public safety. The case is: Espanola Jackson, et al. v. City and County of San Francisco, et al., U.S. Supreme Court No. 14-704, On Petition for Writ of Certiorari to the United States Court of Appeals for the Ninth Circuit, decided June 8, 2015.